This story takes place almost exactly one year ago. Mac’s arrival was still about a month away. My wife and I headed back to her hometown of Neenah Wisconsin for the weekend. Her Aunt and her mom were throwing her a baby shower in anticipation of our son. I got to hang out with my brother-in-law and father-in-law while the women enjoyed their party. What I remember most about this weekend was the special experience we shared the next day. A small group of us went to the nursing home to visit my wife’s grandpa Jim. These visits were always meaningful for me, as I had lost all of my grandparents several years earlier. On the drive in from Minneapolis, my wife and I were discussing baby names, as we so often did on our trips to Wisconsin. We had settled on James for the middle name after my wife’s grandpa Jim. We agreed that this trip would be the best opportunity to tell her grandfather that we were using his name for our son’s middle name. I’ll never forget when her grandpa looked up at both of us and said, “you’re naming him after me?” It was clear that he understood our intentions and was excited about our decision. We smiled and took a few pictures. We discussed the weather and sports, particularly the Packers and Brewers. We said our goodbyes and I love yous and gave hugs, as we always did when we left. Little did we know at the time that this would be the last time we all would see Grandpa Jim alive. That night he went to sleep and did not wake up. 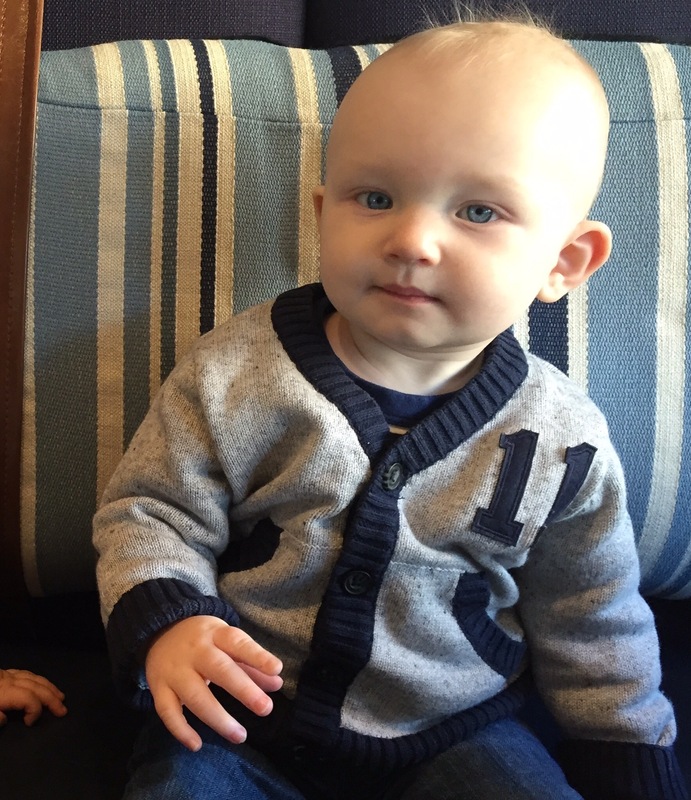 He passed away peacefully in his sleep just weeks before his new great grandson would be born. We feel fortunate that we got the opportunity to tell him about using his name as our son’s middle name, instead of waiting until Mac was born. My mother-in-law says that Grandpa was so excited that we were using his name that he had to go tell his wife, Grandma Marie, in heaven. I’ll never forget this special time we spent with him just hours before his passing. 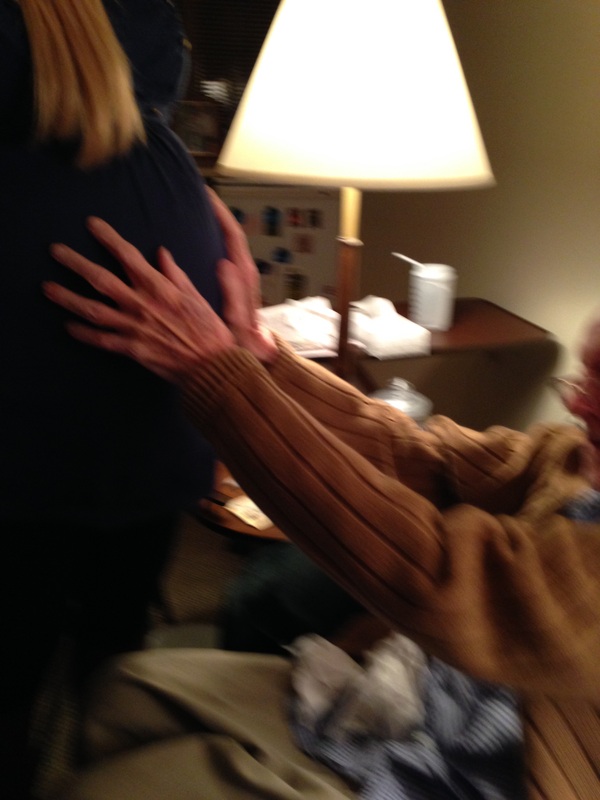 My mom captured this candid shot of Grandpa Jim reaching out with both hands and touching my wife’s belly and introducing himself to our son. We miss you Grandpa Jim. Ode: noun \ˈōd\ a poem in which a person expresses a strong feeling of love or respect for someone or something. This is the definition straight out of my Webster’s dictionary, well, the online dictionary because let’s be serious. Although this isn’t exactly a poem in the traditional sense, I will be expressing some love and certainly respect for something. Target. That’s right, we were back at Target. Probably the third time in a week, but not even close to my record of 7 times in four days right before the holidays. (Don’t even ask). My wife and I had just spent 30-45 minutes shopping together for groceries, baby food, diapers and other essentials when she announced she wanted to look at the women’s shoes. “Sounds good, Mac and I will take the cart and go look at books,” I responded. After rescuing the diaper bag from the car I raced back in to find my wife already by the restrooms. Knowing full well that this was a two person job, we opted not to play Rock Paper Scissors to determine who gets to change him. I asked if they had a family restroom, which they did, but of course it was occupied. While we waited we assessed damage. My wife had already removed his sock and shoe to reveal his messy diaper had made its way all the way down his leg out the bottom of his jeans onto his sock and into his shoe. By the time the family restroom door opened, I was holding a plastic bag under his foot to prevent his stinky mess from reaching he ground! When we actually got into the restroom to clean him up, all we could do was laugh. It was almost as though he missed the diaper entirely and shot everything right down the pant leg. Did that really just happen? Did anyone see us? But it didn’t matter. We were safe now, inside the comfort of the family restroom. We could take our time, use as many wipes as needed, and break out the change of clothes. The entire time our little man giggled hysterically on the changing table. I am so thankful for family restroom that day. This would have been miserable for so many reasons if one of us had to use the individual male or female restrooms. 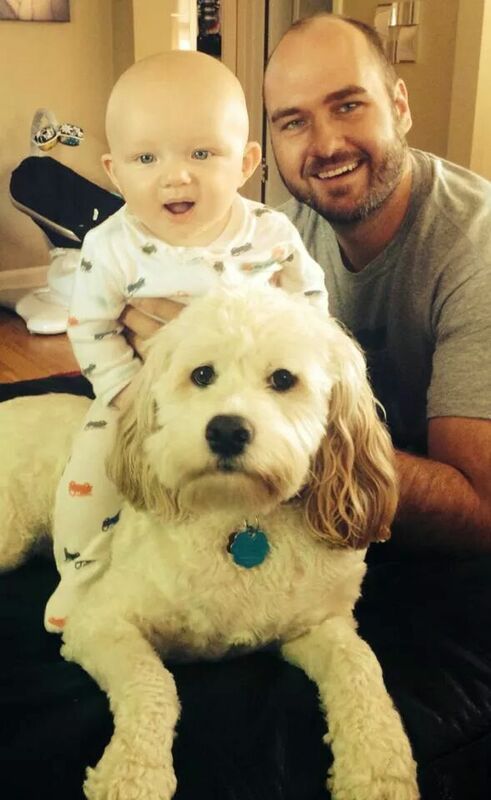 “I’m not so sure this story is doing me any favors with the ladies, Dad..” -Mac, unimpressed.